This is the World Tech Arms Survivor Full Face Mask which comes complete with a removable visor and goggles, comfortable foam and a high quality adjustable strap. Designed so it can be worn over most glasses. A solid faceplate that wraps around your head and full ear protection complete this well designed system. This great mask allows you to be fearless on the battle field, and with the World Tech Arms Survivor Full Face Mask you will have the confidence to know that you are unstoppable! 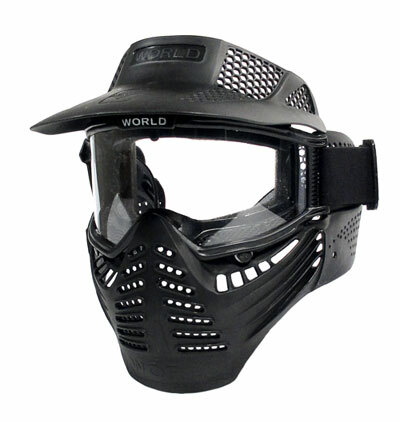 So don't wait any longer get the World Tech Arms Survivor Full Face Mask, Goggles And Visor Airsoft Gun Accessory today because as you know, safety first! Copyright © 2011 www.airsoft-gun-info.com - All rights reserved.